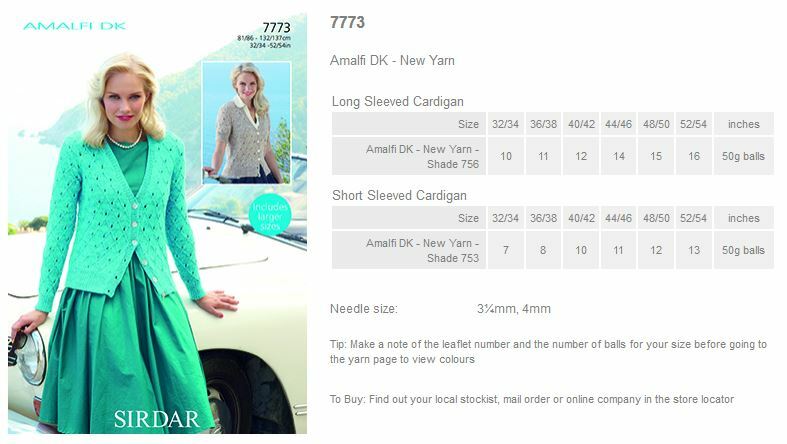 7780 - Long and Short Sleeved Cardigans using Amalfi DK Leaflet with designs for Long and Short Sleeved Cardigans using Amalfi DK. 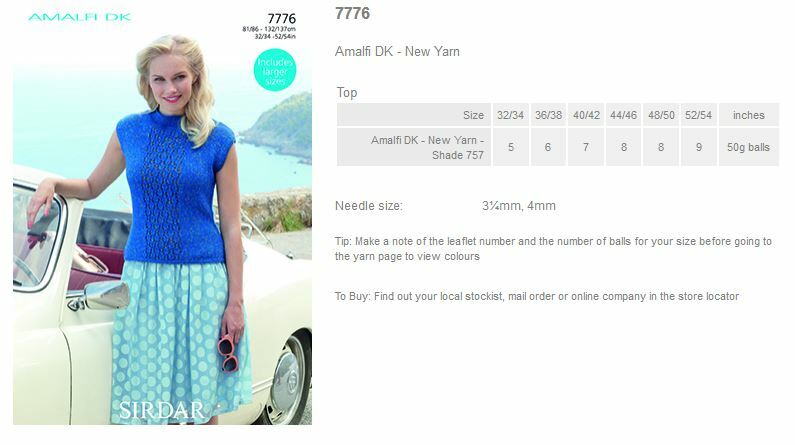 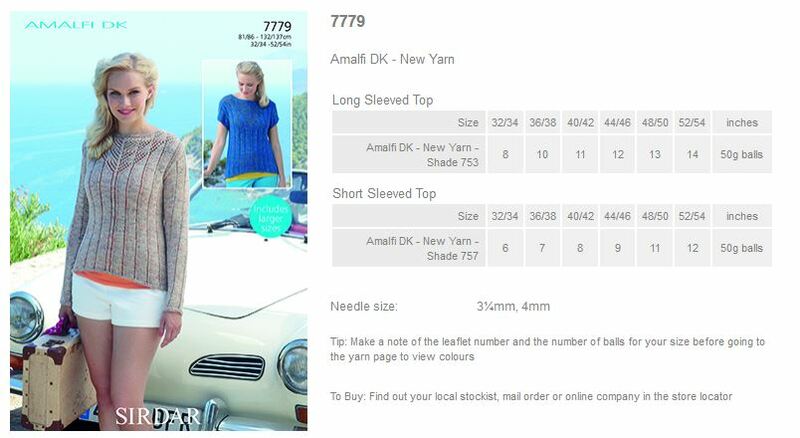 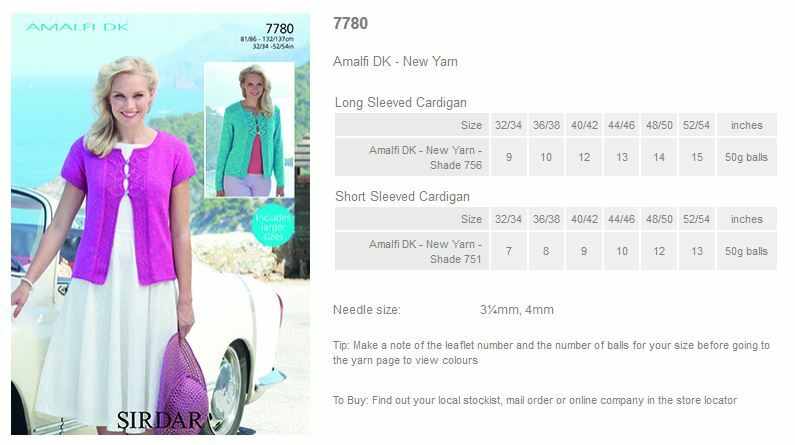 7779 - Long and Short Sleeved Tops using Amalfi DK Leaflet with designs for Long and Short Sleeved Tops using Amalfi DK. 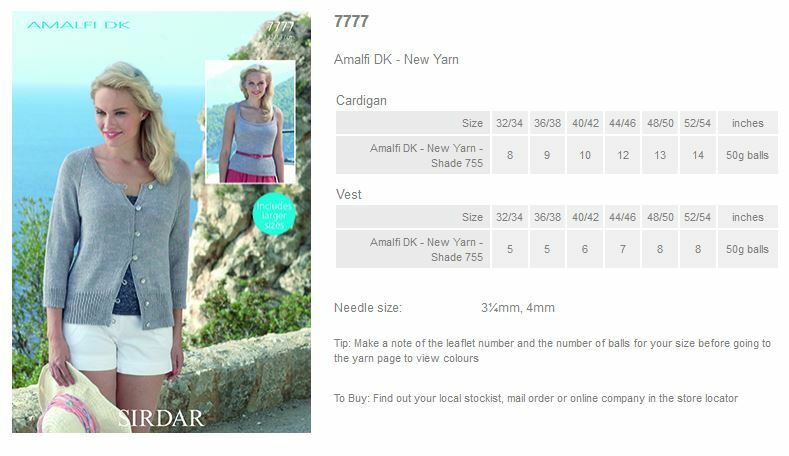 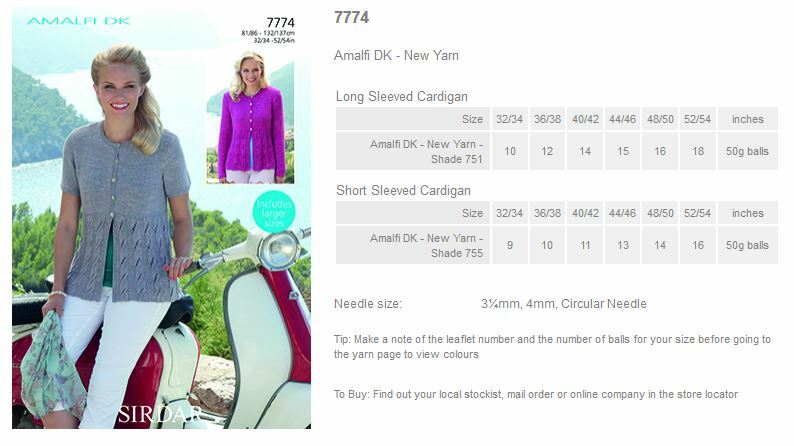 7773 - Long and Short Sleeved Cardigans using Amalfi DK Leaflet with designs for Long and Short Sleeved Cardigans using Amalfi DK.